We help bridge the gap between hospital and home, and give you the extra time and attention you need to get back on your feet. Compassionate, patient-centered care is the cornerstone of our services. BRIA employees are passionate and caring professionals who take great pride in their ability to serve our patients in a broad range of skilled healthcare, administrative, therapeutic and support roles. Our team serves from the heart so that residents get the most out of every day. 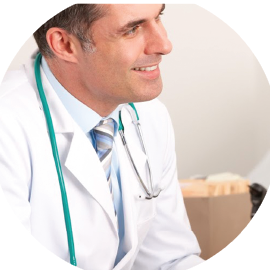 Our mission is to provide the best health outcomes, highest levels of customer service, to those entrusted in our care, and a culture that encourages personal growth and satisfaction for staff. Depending on your needs, or the needs of your loved one, we have a wide variety of care options to choose from. 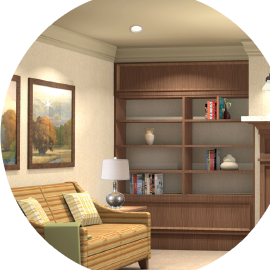 Our goal is to provide our residents with services designed to achieve the best possible health, level of function, and quality of life. 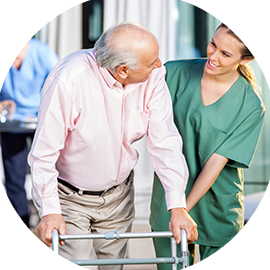 From rehabilitation therapy and specialized cardiac, orthopedic and pulmonary rehabilitation, to in-house and bedside hemodialysis, we help our patients get back home. 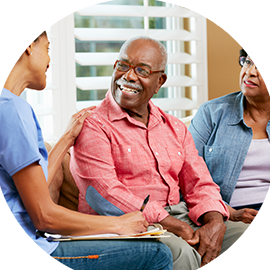 We also offer long-term care options, including specialized Alzheimer’s / dementia care. And each day our patients and business partners recognize and trust in our quest and realize their opportunities for success.